Hugh Jackman led the cast of the hit film, which also brought huge success for the award-winning soundtrack. The International Federation of the Phonographic Industry (IFPI) confirmed the album outstripped sales of all other records in 2018. Ed Sheeran and Lady Gaga were among the artists who failed to match its international success. The musical’s soundtrack spent 24 consecutive weeks at number one in the UK charts, breaking Adele’s record for the number of weeks at the top this century. 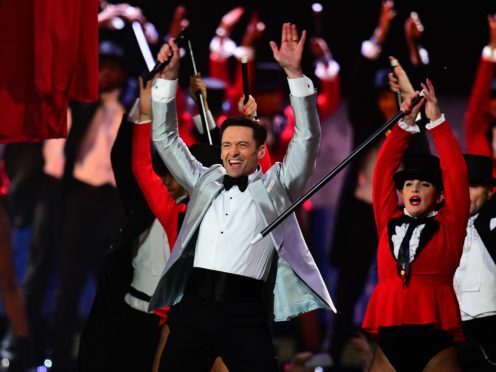 IFPI chief executive Frances Moore said: “The Greatest Showman soundtrack was the jewel in the crown of a year that reminded us of the powerful role music plays in connecting audiences with the movies they love. The soundtrack reached number one in Australia, the USA and Japan. South Korean boy band BTS trailed behind The Greatest Showman soundtrack, with the second and third highest-selling records – Answer and Tear – worldwide. Lady Gaga’s A Star Is Born notched up the fourth highest number of sales worldwide, followed by late French singer Johnny Hallyday’s Mon Pays C’est L’amour. UK star Sheeran was sixth with his album Division, and Queen’s Bohemian Rhapsody was seventh. Pink’s Beautiful Trauma, Kamikaze by Eminem, and another film soundtrack, Mamma Mia! Here We Go Again, rounded off the top 10.